Students travel from all over the world to attend and graduate from an institution like UCLA. This is exactly what makes it such a prestigious university. Students come here with different majors, different cultures, and different experiences, but all with one thing in common: a motivation to succeed. First year political science major Alejandro Cepeda traveled 2,000 miles to attend UCLA. “My experience has been pretty cool. Living in a big city like LA is great. Everyone wants to come here,” says the South Florida native. Fortunately for Cepeda, it did not take a lot to convince his parents he was attending school in California. “My parents already dealt with it with my older brother. They were obviously sad about everything but they completely supported me [because] it was to improve my education,” he says. Though his family experienced education through a slightly different educational system, it allowed him to learn the importance of reaching for higher education. Cepeda also mentions that moving away from home wasn’t a surprise to anyone around him. “I’ve never planned to stay at home in the sense that I would be a commuter, I never wanted to do that. But I always thought I’d go out of state because I have siblings that went to out of state, so it was just normal for me. It wasn’t this crazy idea,” he says. He has embraced all that UCLA has to offer even taking the step to pledge for Nu Alpha Kappa, a Latino-Based fraternity on campus. “Being separated from my family can be a bad thing but it’s also a good thing because I get to live on my own. I do everything by myself. It’s a learning experience for me,” he says. Just a slightly further trip, first-year economics major Arthur Costa traveled 12 hours and 5,5000 miles on a plane from São Paulo, Brazil to spend his next four years at UCLA. He is very happy having chosen UCLA to continue his education. “My experience has been pretty great, actually. I really like it here. I love California. I thought it was the best state to come to,” he says. Costa applied to schools from all over the world but narrowed his options to schools in the U.S. He was also fortunate enough to be influenced by his parents to attend college. Costa is not new to the idea of pursuing education considering that both his parents went to college in Brazil. Though he is far from home, he hopes to go back to Brazil during the summer and intern at a Brazilian bank. He will definitely continue becoming a competitive candidate for graduate school. On another note, first-year political science major Cindy Montoya had a different experience coming down to Los Angeles as a California native. “The move was a little difficult for me because I was so attached to my family, but I got past the homesickness within the first days I got here,” she says. Even though she is a first-generation student, her parents continue to emphasize the importance of achieving higher education. This just goes to show that UCLA has a diverse set of people with different stories. 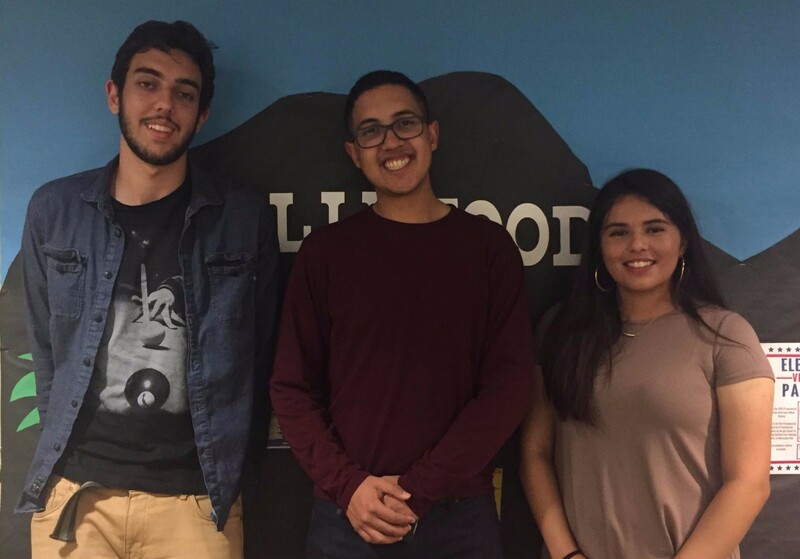 These three students are living proof that the Latino community is continuously fighting battles and still manage to represent our community in prestigious universities across the world.